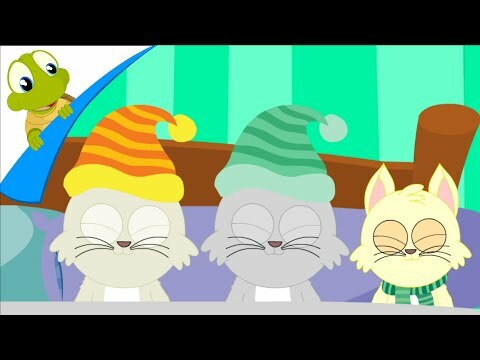 Three Little Kittens is a fun song for children. These Nursery Rhymes are taught in schools and kindergarten. They are great for learning and entertainment. 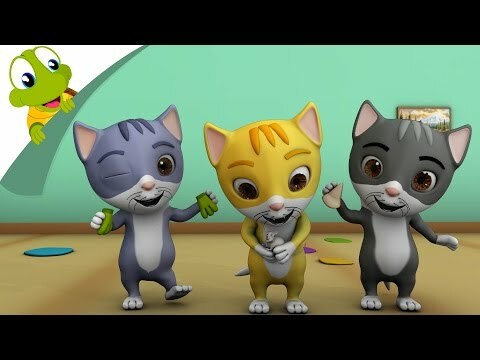 This song of Three little Kittens is a good one to tech kids about maintaining discipline and hygiene. It's a great song to listen for leisure time anyway. Here are the lyrics of the song: Three little kittens, They lost their mittens, And they began to cry, "Oh, mother dear, We sadly fear Our mittens we have lost. There is lot more, watch the full video to know. Hope you like our songs. Subscribe to our channel to watch more of such songs - http://www.youtube.com/subscription_center?add_user=turtleinteractive Like us on Facebook - https://www.facebook.com/TurtleInteractive Follow us on twitter for latest updates - https://twitter.com/turtleint Also add us to your Google+ Circle - https://plus.google.com/+turtleinteractive/ Thank you for your Likes, Shares and Comments!! Pat a cake bakers man is a very poplar song for little kids. Here is a collection of our chosen and popular nursery rhymes. We have the following songs: pat a cake pat a cake baker's man wheels on the bus The finger family Miss Polly had a Dolly rockabye baby on the treetop Three Little Kittens Five Little Monkeys Three Little Pigs Humpty Dumpty Are you sleeping Ants go marching We are going to the zoo Rain rain go away Old macdonalds had a farm Red light red light what do you say Rain rain go away I love my family ten in the bed Five Little Monkeys Donna the Dolphin Pop goes the weasel Animals Phonics song Enjoy our fun-filled collection of popular nursery rhymes. Small kids can learn a lot from watching nursery rhymes animations with educational video and music. It helps them learn through watching cartoon animals and interesting characters. Hope you like our songs. Subscribe to our channel to watch more of such songs - http://www.youtube.com/subscription_center?add_user=turtleinteractive Like us on Facebook - https://www.facebook.com/TurtleInteractive Follow us on twitter for latest updates - https://twitter.com/turtleint Also add us to your Google+ Circle - https://plus.google.com/+turtleinteractive/ Thank you for your Likes, Shares and Comments!! Do you find it difficult to remembers the names of planets in our solar system. 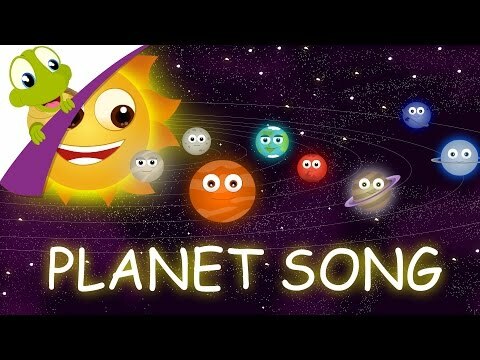 Here is the planets song for you. It helps to recall the name of each planet and in sequence. It also tells about the some interesting points about each planet. M is for Mercury V is for Venus E is for our planet earth M is for Mars J is for Jupiter S is for Saturn U is for Uranus N is for Neptune My very easy method just speeds up names We are the planets we dance all along Why don't you join us to sing the planets song We are eight buddies we go around the sun Lets all and dance together and have so much fun Hey I am mercury the closest one to sun I am too hot to handle but I am so much full of fun Hi I am venus I am brightest of them all I am hotter than Mercury oh but he is my pal You call me Earth I am the planet you live in I take twenty four hours to do a full spin Hi I am a red planet my name is Mars I am the closest one to find if you look at the stars I am the fifth planet I am big and strong If you think you can beat me you can't be more wrong My name is Saturn and my color is brown I got a ring around me and it feels like crown I am so blue in color and I am very cold one My name is Uranus I am Seventh from the sun Hi I am called Neptune and I am farthest of my friends My home is located where your solar system ends M is for Mercury V is for Venus E is for planet earth M is for Mars J is for Jupiter S is for Saturn U is for Uranus N is for Neptune My very easy method just speeds up names We are the planets we dance all along Why don't you join us to sing the planets song We are eight buddies we go around the sun Lets all and dance together and have so much fun Hope you like our songs. Subscribe to our channel to watch more of such songs - http://www.youtube.com/subscription_center?add_user=turtleinteractive Like us on Facebook - https://www.facebook.com/TurtleInteractive Follow us on twitter for latest updates - https://twitter.com/turtleint Also add us to your Google+ Circle - https://plus.google.com/+turtleinteractive/ Thank you for your Likes, Shares and Comments!! 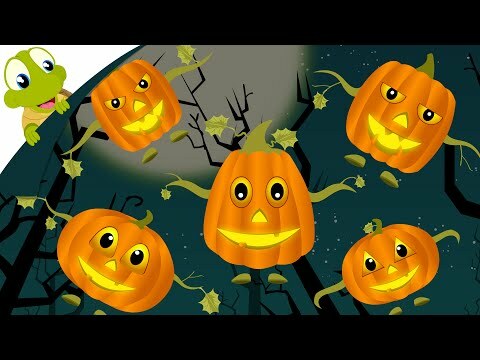 Five Little Pumpkins is a fun halloween song that children love to sing and play in halloween time. It is funny and scary at the same time. Hope you will enjoy our version of the song. Here are the lyrics: Five little Pumpkins sitting on a gate. The first one said "My, it's getting late." The second one said, "There are witches in the air" The third one said, "But we don’t care" The forth one said, "We’ll run and run and run" The fifth one said, "It's just Halloween fun." "Whooooo" went the wind And out went the light And the fifth little pumpkin rolled out of sight. Four little Pumpkins sitting on a gate. The first one said "Hey, what's up mate" The second one said, "there are bats flying around" The third one said, "They never come to ground" The forth one said, "oh man, I am so scared" "Whooooo" went the wind And out went the light And the fourth little pumpkin rolled out of sight. Three little Pumpkins sitting on a gate. The first one said "How long we gonna wait" The second one said, "I think I saw a bear" The third one said, "Oh please, don't scare" "Whooooo" went the wind And out went the light And the third little pumpkin rolled out of sight. Two little Pumpkins sitting on a gate. The first one said, "Hey it's half past eight" The second one said, "I can't think straight" "Whooooo" went the wind And out went the light And the second little pumpkin rolled out of sight. One little Pumpkin sitting on a gate. He said "I am so lonely, I have no mate" "Whooooo" went the wind And out went the light And no little pumpkin was left in the sight. 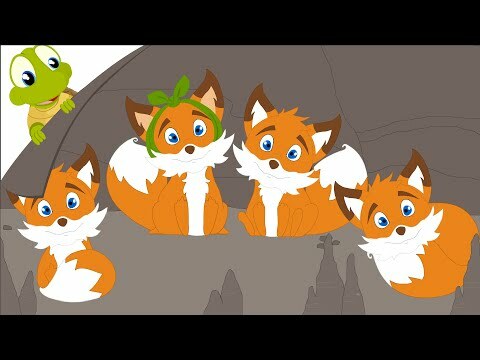 Enjoy our fun-filled rhyme - "Five Little Pumpkins" : https://youtu.be/dkbbBTZOEFE. Small kids can learn a lot from watching nursery rhymes animations with educational video and music. It helps them learn through watching cartoon animals and interesting characters. Hope you like our songs. Subscribe to our channel to watch more of such songs - http://www.youtube.com/subscription_center?add_user=turtleinteractive Like us on Facebook - https://www.facebook.com/TurtleInteractive Follow us on twitter for latest updates - https://twitter.com/turtleint Also add us to your Google+ Circle - https://plus.google.com/+turtleinteractive/ Thank you for your Likes, Shares and Comments!! Here is one of the favorite Nursery Rhyme of Kids. 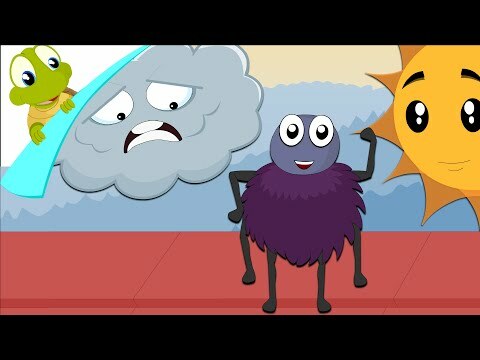 The Five Little Monkeys Fun Song by Turtle will entertain and educate the kids in style. 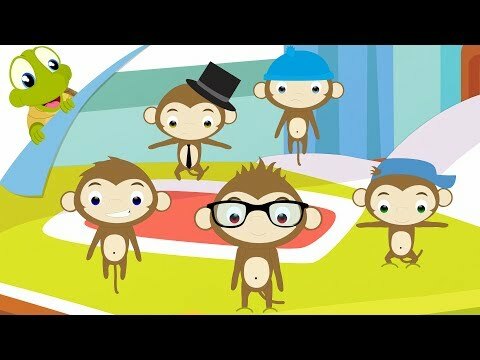 Enjoy our fun-filled rhyme - "Five Little Monkeys Fun Kids Nursery Rhyme by Turtle". Small kids can learn a lot from watching nursery rhymes animations with educational video and music. It helps them learn through watching cartoon animals and interesting characters. Hope you like our songs. Subscribe to our channel to watch more of such songs - http://www.youtube.com/subscription_center?add_user=turtleinteractive Like us on Facebook - https://www.facebook.com/TurtleInteractive Follow us on twitter for latest updates - https://twitter.com/turtleint Also add us to your Google+ Circle - https://plus.google.com/+turtleinteractive/ Thank you for your Likes, Shares and Comments!! 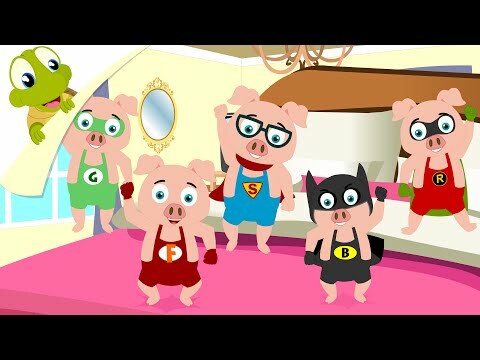 Five Little Piggies jumping on the bed is a popular nursery rhyme and a variant of five little monkeys song. Our version is actually a funny superhero edition which kids would surely admire. Watch and let us know your valuable opinions. Here are the lyrics: Five little piggies jumping on the bed One fell off and bumped his head Momma called the doctor and the doctor said No more piggies jumping on the bed! Four little piggies jumping on the bed One fell off and bumped his head Momma called the doctor and the doctor said No more piggies jumping on the bed! Three little piggies jumping on the bed One fell off and bumped his head Momma called the doctor and the doctor said No more piggies jumping on the bed! Two little piggies jumping on the bed One fell off and bumped his head Momma called the doctor and the doctor said No more piggies jumping on the bed! One little piggy jumping on the bed One fell off and bumped his head Momma called the doctor and the doctor said No more piggies jumping on the bed! No little piggy jumping on the bed None fell off and bumped his head Momma called the doctor and the doctor said Put those piggies right to bed Hope you like our songs. Subscribe to our channel to watch more of such songs - http://www.youtube.com/subscription_c... Like us on Facebook - https://www.facebook.com/TurtleIntera... Follow us on twitter for latest updates - https://twitter.com/turtleint Also add us to your Google+ Circle - https://plus.google.com/+turtleintera... Thank you for your Likes, Shares and Comments!! Johnny Johnny Yes Papa is one of the more popular Kids songs. Watch the quality Nursery Rhymes from Turtle Interactive. Here is the list of included songs: Johny johny Yes Papa Five little princesses jumping on the bed chubby cheeks Little Red Riding hood Down by the bay Old Macdonald had a farm I have a dog Baby Shark finger family Wheels on the bus Baby shark head, shoulder, knees and toes with skeletons I'm a Nut Finger Family with Panda Bears Incy Wincy Spider Who build the ark Baby Bumble Bee Traffic lights song wheels on the bus with animals Five little babies jumping on the bed Dinosaur dinosaur turn around One potato two potato Zoom zoom zoom Enjoy our fun-filled rhyme - "Johnny Johnny Yes Papa" Small kids can learn a lot from watching nursery rhymes animations with educational video and music. It helps them learn through watching cartoon animals and interesting characters. Subscribe to our channel to watch more of such songs - http://www.youtube.com/subscription_center?add_user=turtleinteractive Like us on Facebook - https://www.facebook.com/TurtleInteractive Follow us on twitter for latest updates - https://twitter.com/turtleint Also add us to your Google+ Circle - https://plus.google.com/+turtleinteractive/ Thank you for your Likes, Shares and Comments!! 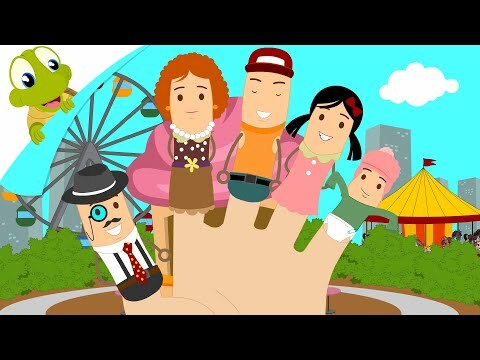 Finger Family in the most popular nursery rhyme for children. Here is our latest and most unique version of the song in 4K Ultra HD resolution. We have made unique characters out or each finger and made a nice story. 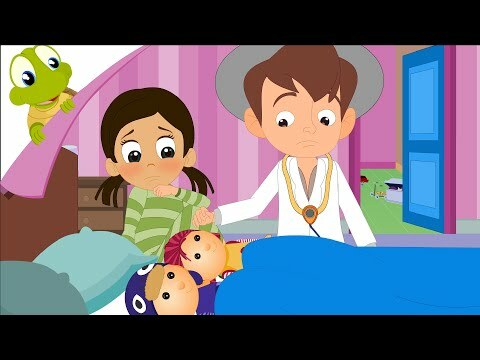 Hope you like our song Enjoy our fun-filled rhyme - "Finger Family 3D Nursery Rhyme 4K Ultra HD" : https://youtu.be/S3MkGBV6xcc. Small kids can learn a lot from watching nursery rhymes animations with educational video and music. It helps them learn through watching cartoon animals and interesting characters. Hope you like our songs. Subscribe to our channel to watch more of such songs - http://www.youtube.com/subscription_center?add_user=turtleinteractive Like us on Facebook - https://www.facebook.com/TurtleInteractive Follow us on twitter for latest updates - https://twitter.com/turtleint Also add us to your Google+ Circle - https://plus.google.com/+turtleinteractive/ Thank you for your Likes, Shares and Comments!! 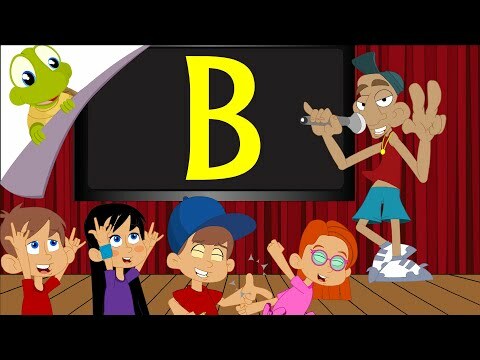 Enjoy the Baby Bumble bee song. It is a fun song about a little girl who hurt a little baby bumble bee. Here are the lyrics of Baby Bumble Bee song: I'm bringing home a baby bumble bee Won't my Mommy be so proud of me I'm bringing home a baby bumble bee OUCH!! It stung me!! I'm squishing up a baby bumble bee Won't my Mommy be so proud of me I'm squishing up a baby bumble bee Ooh! It's yucky! I'm wiping up a baby bumblebee Won't my mommy be so proud of me I'm wiping up a baby bumblebee Now my mommy won't be mad at me! Hope you like our songs. Subscribe to our channel to watch more of such songs - http://www.youtube.com/subscription_center?add_user=turtleinteractive Like us on Facebook - https://www.facebook.com/TurtleInteractive Follow us on twitter for latest updates - https://twitter.com/turtleint Also add us to your Google+ Circle - https://plus.google.com/+turtleinteractive/ Thank you for your Likes, Shares and Comments!! Little Red Riding hood is Popular Classic Fairy Tale about a little Girl called as Little Red Riding Hood. Her mother sew a red hood for her, which she wore all around. Soon she came to be known as Little Red Riding hood. 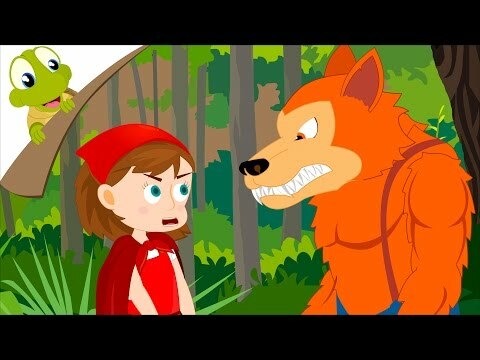 Watch our story song to enjoy the full story of the Red Riding hood to know what happens when she goes to see her Granny in the woods. It is a very enjoyable song version of the story. Please do let us know your valuable comments. Hope you like our songs. Subscribe to our channel to watch more of such songs - http://www.youtube.com/subscription_center?add_user=turtleinteractive Like us on Facebook - https://www.facebook.com/TurtleInteractive Follow us on twitter for latest updates - https://twitter.com/turtleint Also add us to your Google+ Circle - https://plus.google.com/+turtleinteractive/ Thank you for your Likes, Shares and Comments!! Daddy finger is a popular nursery rhyme to teach kids about the family and the fingers on the hand. Here are the lyrics: Daddy Finger, Daddy finger where are you ? here I am, here I am. How do you do? Mommy Finger, Mommy finger where are you ? here I am, here I am. How do you do? Brother Finger, Brother finger where are you ? here I am, here I am. How do you do? Sister Finger, Sister finger where are you ? here I am, here I am. How do you do? Baby Finger, Baby finger where are you ? here I am, here I am. How do you do? 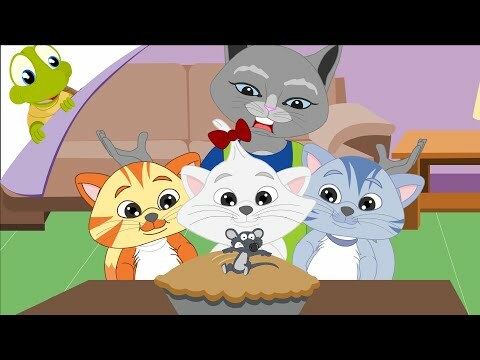 Enjoy our fun-filled rhyme - "Finger Family Nursery Rhyme" : http://www.youtube.com/watch?v=B0Uyc5xVbPM. Small kids can learn a lot from watching nursery rhymes animations with educational video and music. It helps them learn through watching cartoon animals and interesting characters. 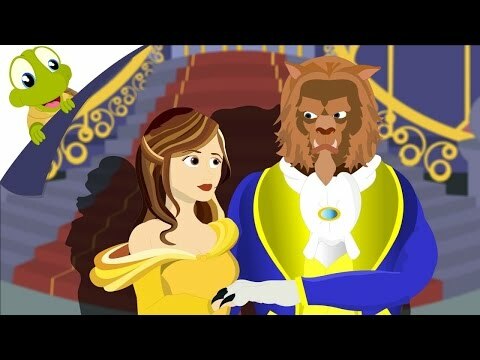 Beauty and the Beast is a classic film of fantastic journey of Belle, a bright and beautiful, independent girl and Prince Adam - A Handsome prince who got cursed by a witch. Hope you like our songs. Subscribe to our channel to watch more of such songs - http://www.youtube.com/subscription_center?add_user=turtleinteractive Like us on Facebook - https://www.facebook.com/TurtleInteractive Follow us on twitter for latest updates - https://twitter.com/turtleint Also add us to your Google+ Circle - https://plus.google.com/+turtleinteractive/ Thank you for your Likes, Shares and Comments!! 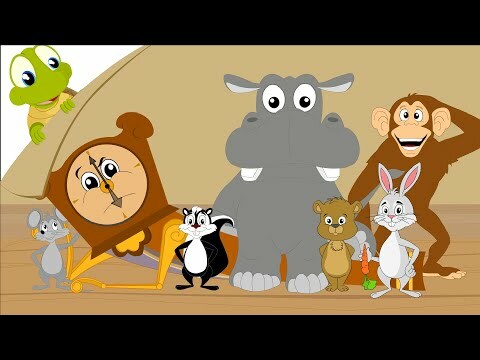 Hickory Dickory Dock is a funny song about a grandpa clock who gets runover by a horde of different animals. 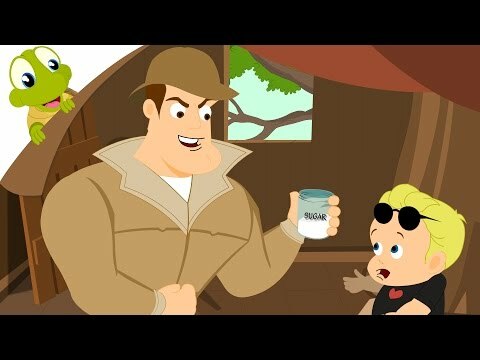 Kids will love to watch this video and many more. Here is the list of covered nursery rhymes in this video. Hickory Dickory Dock Row Row Row your boat Rain Rain Go Away If you are happy and you know it I love my family I hear Thunder Little Bo Peep Chubby Cheeks Hush Little Baby Bingo Dog Song Are you Sleeping Bits of Paper Little Miss Muffet We are going to the zoo Enjoy our fun-filled rhyme - "Hickory Dickory Dock and more Nursery Rhymes | Kids Songs" : https://youtu.be/1qHMa6aN-uw. Small kids can learn a lot from watching nursery rhymes animations with educational video and music. It helps them learn through watching cartoon animals and interesting characters. Hope you like our songs. Subscribe to our channel to watch more of such songs - http://www.youtube.com/subscription_center?add_user=turtleinteractive Like us on Facebook - https://www.facebook.com/TurtleInteractive Follow us on twitter for latest updates - https://twitter.com/turtleint Also add us to your Google+ Circle - https://plus.google.com/+turtleinteractive/ Thank you for your Likes, Shares and Comments!! Rapunzel is an old folk tale about a little girl with golden hair. Its a very popular folk tale and bedtime story which is often told by mothers and fathers to entertain their kids. The story involves some magic and lots of heart. It is loved by kids all around the world and is also a popular movie made by Disney called Tangled. 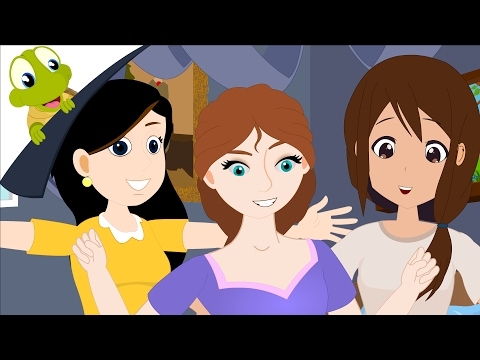 The story of Rapunzel is fun to watch and you will love our Animated version of the story which is around 11 minutes long but totally fun to watch. Its a captivating story with lots of cool characters and some wicked magic that will keep you hooked. Let us know if you like our story of Rapunzel and any suggestions are welcome. If you like our video, pls do share and like it too. 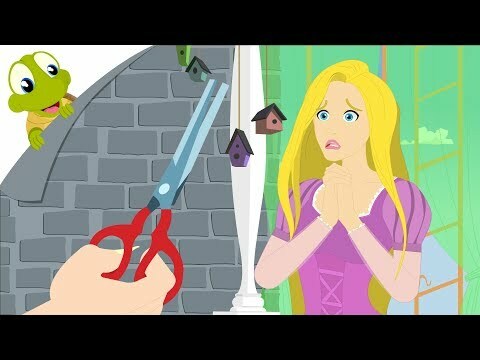 Subscribe to our channel to watch more of such stories- http://www.youtube.com/subscription_center?add_user=turtleinteractive Enjoy our fun-filled Story Video - "Rapunzel | Story for Kids | Fairy Tales and Bedtime Stories" : https://youtu.be/6U3ZrAZhxGE. 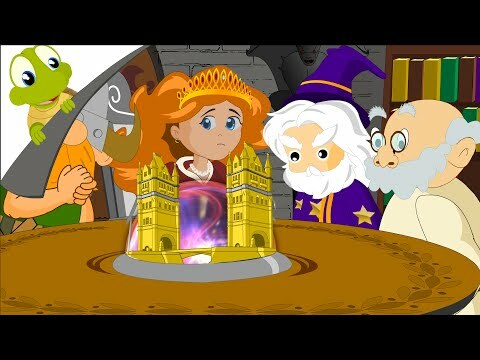 It's a story of a golden haired girl and a evil witch that keeps her locked for life in her high tower. The twist begins when a visiting prince comes to meet her in the tower. Hope you like our stories and songs. Like us on Facebook - https://www.facebook.com/TurtleInteractive Follow us on twitter for latest updates - https://twitter.com/turtleint Also add us to your Google+ Circle - https://plus.google.com/+turtleinteractive/ Thank you for your Likes, Shares and Comments!! 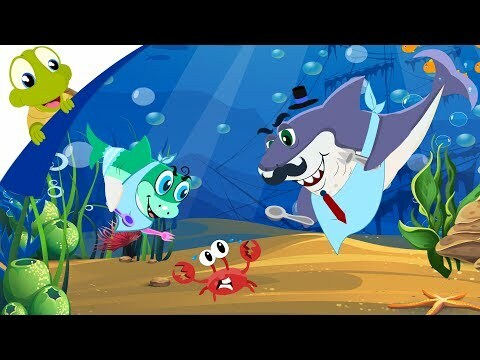 Baby Shark Song is a popular song about a shark's family sung in a fun style. You will love to meet baby shark's mother, father, grandma and grandpa. Baby Shark is one fun song that's loved by children of all ages. 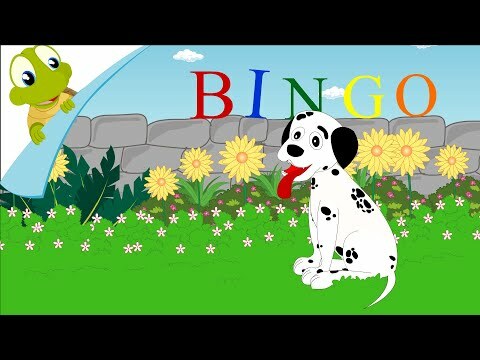 Enjoy our classic and simple version of popular nursery rhyme that never fails to entertain you. Here are the lyrics: Baby shark do do, do do do do Baby shark do do, do do do do Baby shark do do, do do do do Baby shark Mama shark do do, do do do do Mama shark do do, do do do do Mama shark do do, do do do do Mama shark Papa shark do do, do do do do Papa shark do do, do do do do Papa shark do do, do do do do Papa shark Grandma shark do do, do do do do Grandma shark do do, do do do do Grandma shark do do, do do do do Grandma shark Grandpa shark do do, do do do do Grandpa shark do do, do do do do Grandpa shark do do, do do do do Grandpa shark Let's go hunt do do, do do do do Let's go hunt do do, do do do do Let's go hunt do do, do do do do Let's go hunt Oh No, Run Away! Run Away do do, do do do do Run Away do do, do do do do Run Away do do, do do do do Run Away Safe at last do do, do do do do Safe at last do do, do do do do Safe at last do do, do do do do Safe at last It's the end do do, do do do do It's the end do do, do do do do It's the end do do, do do do do It's the end Hope you like our Baby Shark Song. Subscribe to our channel to watch more of such songs - http://www.youtube.com/subscription_center?add_user=turtleinteractive Like us on Facebook - https://www.facebook.com/TurtleInteractive Follow us on twitter for latest updates - https://twitter.com/turtleint Also add us to your Google+ Circle - https://plus.google.com/+turtleinteractive/ Thank you for your Likes, Shares and Comments!! 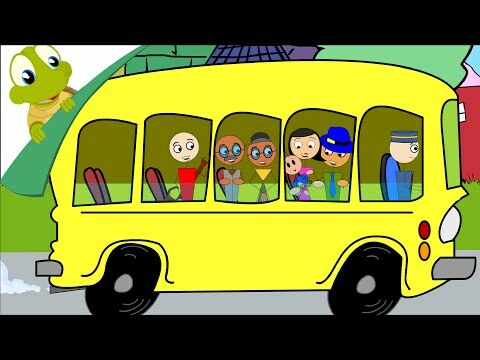 Watch our all new song of Here We Go Looby Loo for Kids. 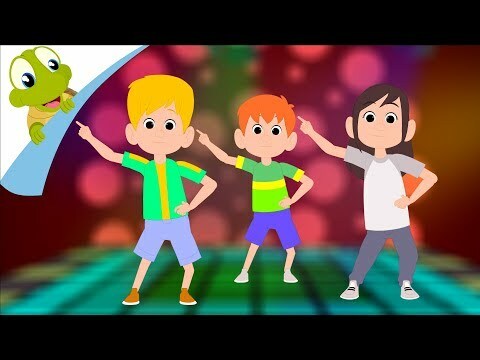 Looby Loo is a fun weekend song that encourages kids to dance and play. Its a faced paced and entertaining dance number to make the kids groove to its tune. Here are the lyrics of Looby Loo Song: Here we go Looby Loo! Here we go Looby Light! Here we go Looby Loo! All on a Saturday Night You put your right hand in You take your right hand out! You give your hand a shake shake shake and turn yourself around You put your left hand in You take your left hand out You give your hand a shake shake shake and turn yourself around You put your right foot in You take your right foot out You give your foot a shake shake shake and turn yourself around You put your left foot in You take your left foot out You give your foot a shake shake shake and turn yourself around You put your head in You take your head out You give your head a shake shake shake and turn yourself around You put your whole self in You take your whole self out You give your whole self shake shake shake and turn yourself around Enjoy our fun-filled rhyme - "Looby Loo". Small kids can learn a lot from watching nursery rhymes animations with educational video and music. It helps them learn through watching cartoon animals and interesting characters. Hope you like our songs. Subscribe to our channel to watch more of such songs - http://www.youtube.com/subscription_center?add_user=turtleinteractive Like us on Facebook - https://www.facebook.com/TurtleInteractive Follow us on twitter for latest updates - https://twitter.com/turtleint Also add us to your Google+ Circle - https://plus.google.com/+turtleinteractive/ Thank you for your Likes, Shares and Comments!! Piggy on the railway line picking up the stones Down came the engine & broke the piggy's bones "Ah!" said Piggy "That's not fair!" "Oh!" said the engine driver "I don't care!" Wasn't the engine driver kind a mean Yeah! It's nice to say sorry and be kind Piggy on the railway line picking up the stones Down came the engine and broke the Piggy's bones "Ah!" said Piggy "That's not fair!" "Oh!" said the engine driver "I don't care!" Engine Driver! That was still very mean! It's nice to say sorry and be kind Engine Driver, Engine Driver, we must take a stand Say sorry, to Mr. Piggy, And lend a hand It's nice to say sorry and be kind Piggy on the railway line picking up the stones Down came the engine and broke the Piggy's bones "Ah!" said Piggy "That's not nice!" "Oh!" said the engine driver "Let me get some ice." Now that's better!! Enjoy our fun-filled rhyme - "Piggy on the Railway Line ". Hope you like our songs. Subscribe to our channel to watch more of such songs - http://www.youtube.com/subscription_center?add_user=turtleinteractive Like us on Facebook - https://www.facebook.com/TurtleInteractive Follow us on twitter for latest updates - https://twitter.com/turtleint Also add us to your Google+ Circle - https://plus.google.com/+turtleinteractive/ Thank you for your Likes, Shares and Comments!! 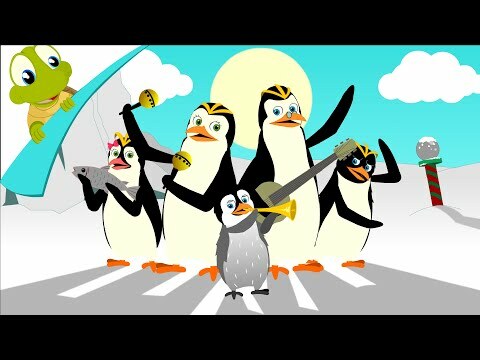 Here is the collection of top favorite song for kids. 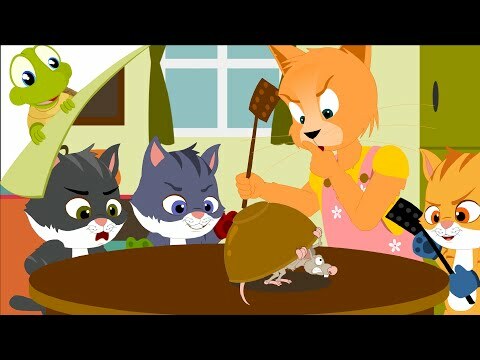 Lots of finger family nursery rhymes with many yummy dishes and other things. If you and your kids love to watch the daddy finger song then this will keep you hooked for long. Here are the lyrics: Daddy finger, daddy finger, where are you? Here I am, here I am. How do you do? Mommy finger, Mommy finger, where are you? Here I am, here I am. How do you do? Brother finger, Brother finger, where are you? Here I am, here I am. How do you do? Sister finger, Sister finger, where are you? Here I am, here I am. How do you do? Baby finger, Baby finger, where are you? Here I am, here I am. How do you do? Hope you like our songs. Subscribe to our channel to watch more of such songs - http://www.youtube.com/subscription_center?add_user=turtleinteractive Like us on Facebook - https://www.facebook.com/TurtleInteractive Follow us on twitter for latest updates - https://twitter.com/turtleint Also add us to your Google+ Circle - https://plus.google.com/+turtleinteractive/ Thank you for your Likes, Shares and Comments!! Three Little Kittens lot their mittens is a popular and fun rhyme that children love to ear and sing. 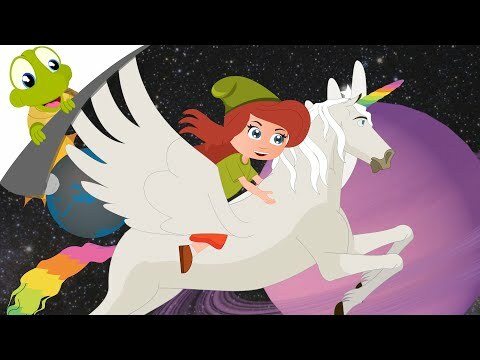 Watch the song in 3D style and enjoy. Here are the lyrics: The three little kittens, they lost their mittens, And they began to cry, "Oh, mother dear, we sadly fear, That we have lost our mittens." "What!Lost your mittens, you naughty kittens! you shall have no pie." "Meow, meow, meow." "We shall have no pie." The three little kittens, they found their mittens, And they began to cry, "Oh, mother dear, see here, see here, For we have found our mittens." "Put on your mittens, you silly kittens, And you shall have some pie." "Meow, meow, meow." let us have some pie." The three little kittens put on their mittens, And soon ate up the pie, "Oh, mother dear, we greatly fear, That we have soiled our mittens." "What, soiled your mittens, you naughty kittens!" they began to cry, "Meow, meow, meow." Then they began to sigh, The three little kittens, they washed their mittens, And hung them out to dry, "Oh, mother dear, do you not hear, That we have washed our mittens?" "What, washed your mittens, you're good kittens, But I smell a rat close by." "Meow, meow, meow, We smell a rat close by." "Meow, meow, meow, We smell a rat close by." Hope you like our songs. Subscribe to our channel to watch more of such songs - http://www.youtube.com/subscription_center?add_user=turtleinteractive Like us on Facebook - https://www.facebook.com/TurtleInteractive Follow us on twitter for latest updates - https://twitter.com/turtleint Also add us to your Google+ Circle - https://plus.google.com/+turtleinteractive/ Thank you for your Likes, Shares and Comments!! 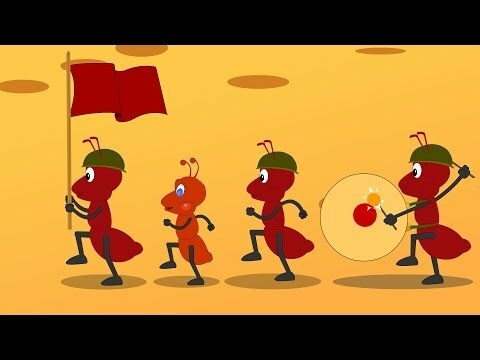 Shapes Song for Kids | Learn Shapes in an exciting and fun way. Kids can learn about all the different shapes easily by watching this video. You know Squares, Circles, Triangles, Rectangles and Many More. 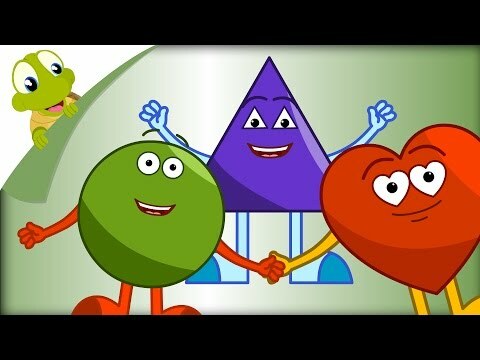 Watch our shapes song to learn the shapes in style. Hope you like our songs. Subscribe to our channel to watch more of such songs - http://www.youtube.com/subscription_center?add_user=turtleinteractive Like us on Facebook - https://www.facebook.com/TurtleInteractive Follow us on twitter for latest updates - https://twitter.com/turtleint Also add us to your Google+ Circle - https://plus.google.com/+turtleinteractive/ Thank you for your Likes, Shares and Comments!! Do you like the story of three little pigs. Here is a 3D version of the popular folk tale. This is a moral story for children that teaches about the values of hard labour and family. 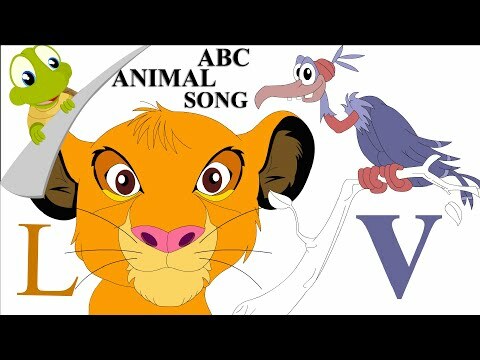 This song story version in 3D will amuse and keep kids hooked till the end. Here are the lyrics: There were three little pigs who went one day out to find their good fortune They found a nice place near the woods and they wished to settle down Now there’s a big bad wolf who lives in the figs he wanted to feast on our cute little pigs The first pig made his house out of straw the bad wolf came to his door and banged his claw little pig, little pig, let me come in No, no, no. I won’t let you come in. Not by the hair on my chinny chin chin well, i’ll huff and i’ll puff and i’ll blow your house in Come on, little pigs, you got to let me in The Second little pig made his house out of sticks But the big bad wolf was up to his tricks little pig, little pig, let me come in No, no, no. I won’t let you come in Not by the hair on my chinny chin chin well, i’ll huff and i’ll puff and i’ll blow your house in Come on, little pigs, you got to let me in The third little pig made his house out of bricks He was gonna get them out of this fix little pig, little pig, let me come in No, no, no. I won’t let you come in not by the hair on my chinny chin chin the big bad wolf tried as much as he could this house won’t budge, it was made really good so children, now you know the value of hard work. Sometimes it may take longer but it’s all worth in the end Enjoy our fun-filled 3D story- "Three Little Pigs and the Big Bad Wolf". Small kids can learn a lot from watching nursery rhymes animations with educational video and music. It helps them learn through watching cartoon animals and interesting characters. Hope you like our songs. Subscribe to our channel to watch more of such songs - http://www.youtube.com/subscription_center?add_user=turtleinteractive Like us on Facebook - https://www.facebook.com/TurtleInteractive Follow us on twitter for latest updates - https://twitter.com/turtleint Also add us to your Google+ Circle - https://plus.google.com/+turtleinteractive/ Thank you for your Likes, Shares and Comments! !